*Disclaimer: I received this wine as a sample from the PR folks for Tapeña. Fruity and light. That’s pretty much what I look for in a red wine as the temperature creeps up to the high 90s. Unless I’m inside where we keep the AC running. In which case, it feels like winter and I’ll take a glass of that Zin, please. 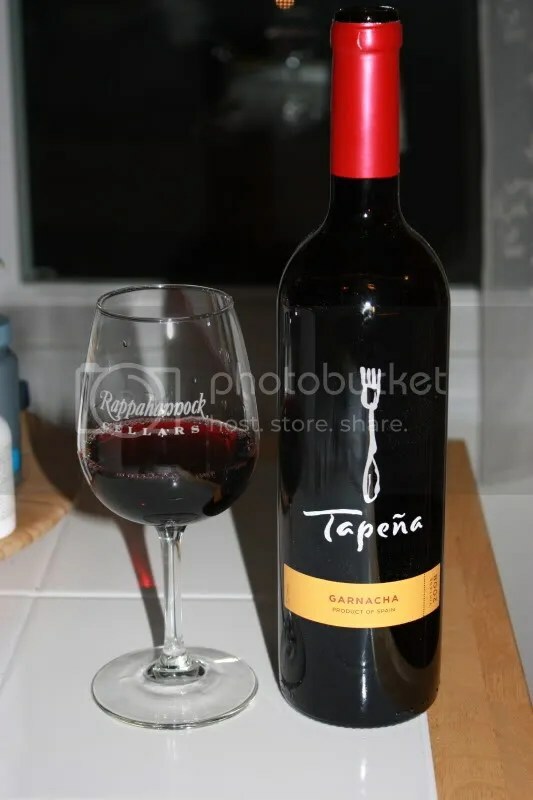 Seeing as how we were eating outside tonight, the 2008 Tapeña Garnacha fit the bill. The wine had a real cork closure, clocked in at 13% alcohol by volume, and retails for about $10. The nose on this wine struck me as spicy and floral. I got pepper, cherry, plum, cedar, earth, and raspberry. In the mouth I got black cherry, black plum, raspberry, spice, and pepper. Overall this was a really bright, fruity wine.